In the North, wind power in Abundance, and scarcity in the South: The regional unbalance of the energy transition sets the power grids under pressure. The grid operator Tennet reported by record costs for emergency interventions. It should stay, as long as the network is not expanded. The Expansion of renewable energy in the German power grid under increasing pressure. The major electricity network operator, Tennet, whose power is sufficient area in the middle of Germany, from Schleswig-Holstein to southern Bavaria, had to pay in 2017, almost one billion euros for emergency interventions in the network. The Tennet announced on Monday on the basis of provisional Figures. The intervention costs were up in 2015, still significantly lower at 710 million euros in the wind weak, 2016, only 660 million Euro. The costs are allocated on the so-called network charges to the price of Electricity and end up at the end by the consumer. Based interventions will be necessary if power lines to bring wind power from the North to the South. In the stormy autumn and the Winter Gas in the North, then again and again – and coal-fired power plants to shut down, or wind farms to be switched off against reimbursement of costs, because more electricity would be produced than the network can accommodate. Thus, in the South, however, the lights go out, there are also dangers of conventional reserve power plants. Often, the power reserve also comes from Austria. Also, the network operator must pay compensation. 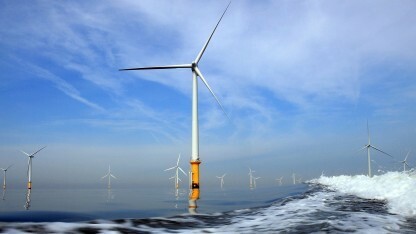 The Expansion of wind power on the sea and in the country’s interior is progressing. According to preliminary Figures of the Federal Association of energy and water industries (BDEW), the share of renewable energy in electricity generation 2017 to 33.1 per cent to 29.0 per cent in the previous year. Hartmann expressed optimism for further Expansion: “in 2018, we will see progress here. In the case of major projects, we will come a good step forward,” he said. The grid operator Tennet has costs due to the large expansion of network area is also the largest share of the German network intervention. After the shutdown of the last nuclear power plants in 2022, the intervention could increase costs, according to the Federal network Agency, even up to four billion euros nationwide in the year.